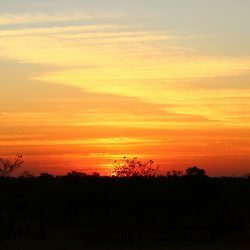 Flights operate from April to October. 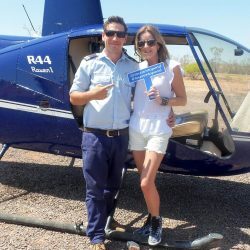 Our Katherine office and departure point is at Lot 5449, 1425 Gorge Road, at Maude Creek airfield, Katherine, Northern Territory. 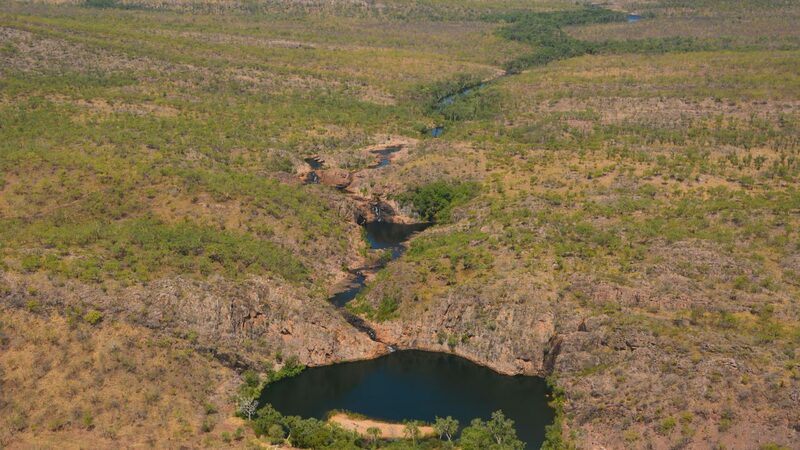 We are situated outside the Nitmiluk National Park. 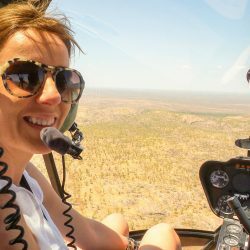 Therefore if you are travelling with pets, you can come and fly with us, leaving your pet in the shade near our parking area whilst you fly. There is a map of our location at the bottom of this page. 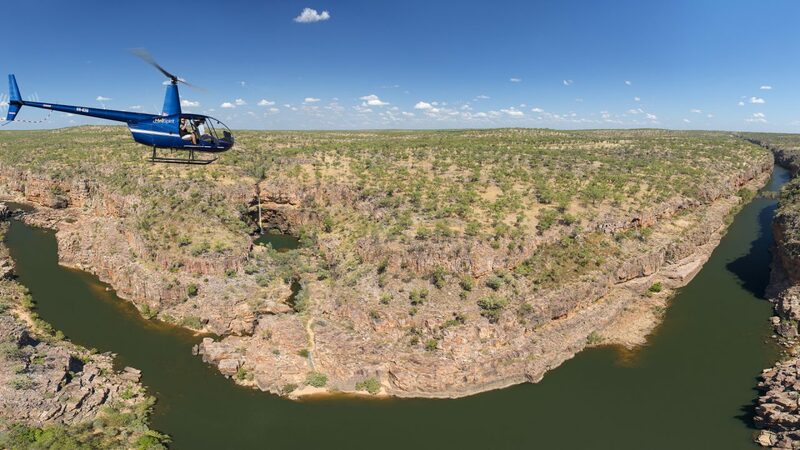 HeliSpirit’s award winning Katherine Gorge helicopter flights give a bird’s eye view of this stunning ancient landscape of gorges, plateaus and waterfalls. 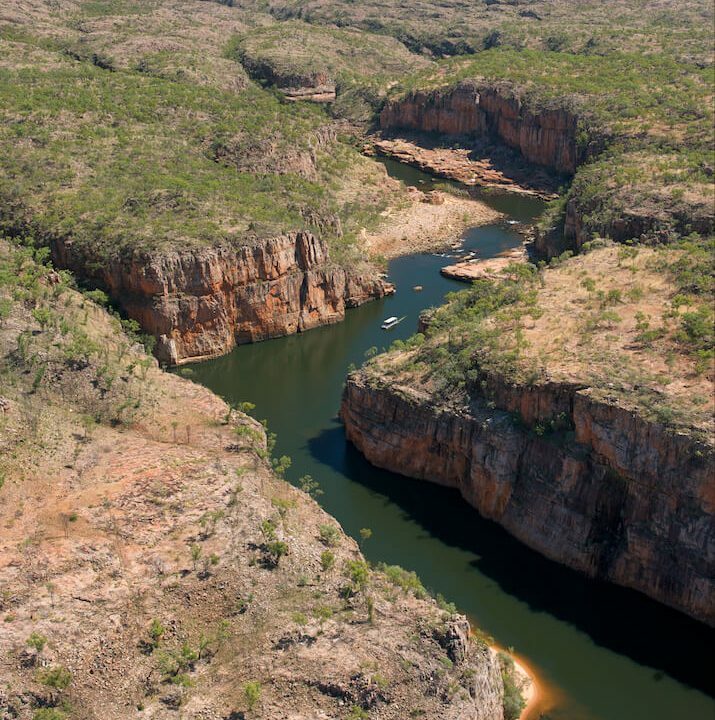 The Katherine Region is Adventure Territory and is ideally positioned as a base from which to explore the Top End. 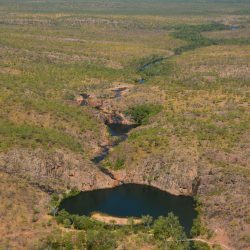 Located only a couple of hours from Kakadu, Litchfield and Gregory National Parks, the town of Katherine is the central hub of the region.The jewel in the crown of Katherine is Nitmiluk (Katherine Gorge) National Park. 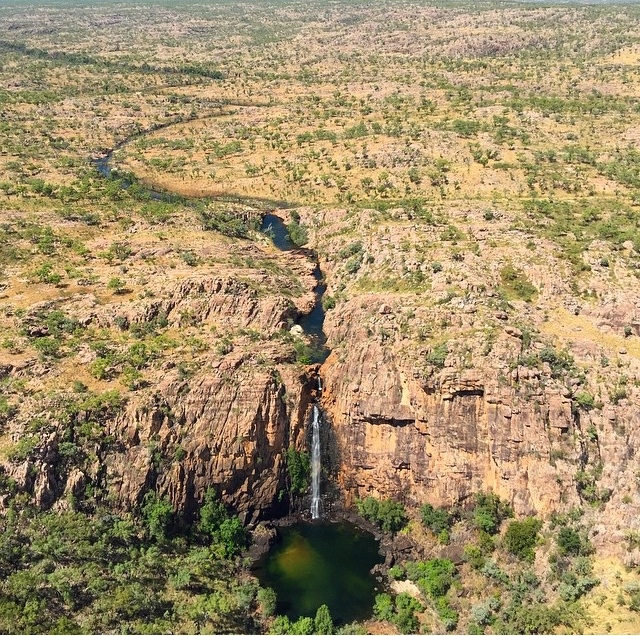 Nitmiluk is at the southern tip of Kakadu and Arnhem Land. 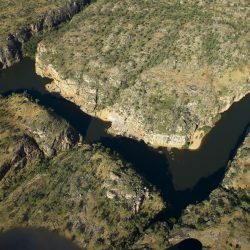 Here you will find a rugged landscape of sandstone cliffs, spectacular waterfalls and lush rainforest. 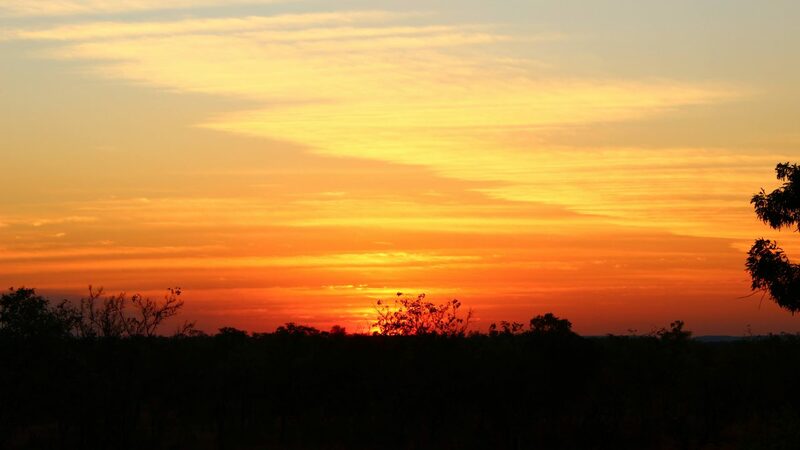 We are based at Maude Creek Airfield on the road to Nitmiluk National Park, 20 km from Katherine town centre. 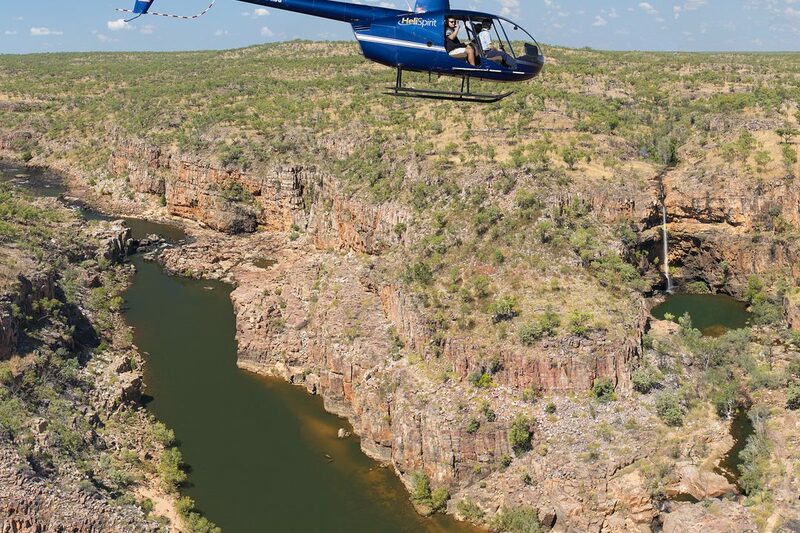 Our Katherine Gorge helicopter flights soar over the Katherine River before entering the gorges of Nitmiluk. 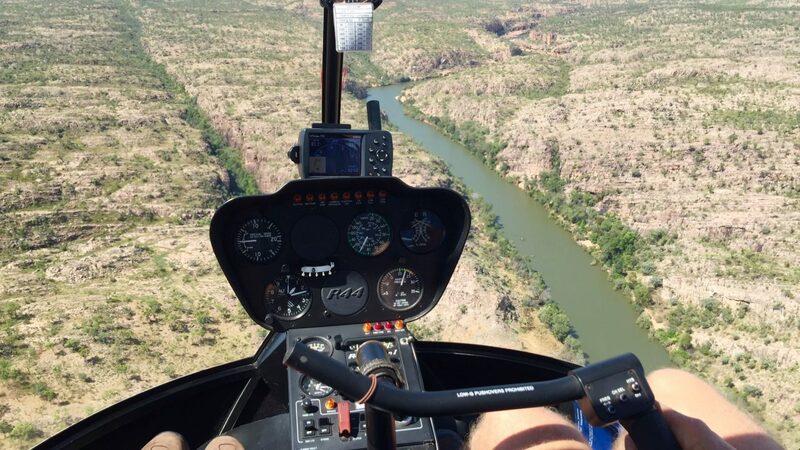 Choose from an 8, 12, 15, 20, 30 or 45 minute flight. 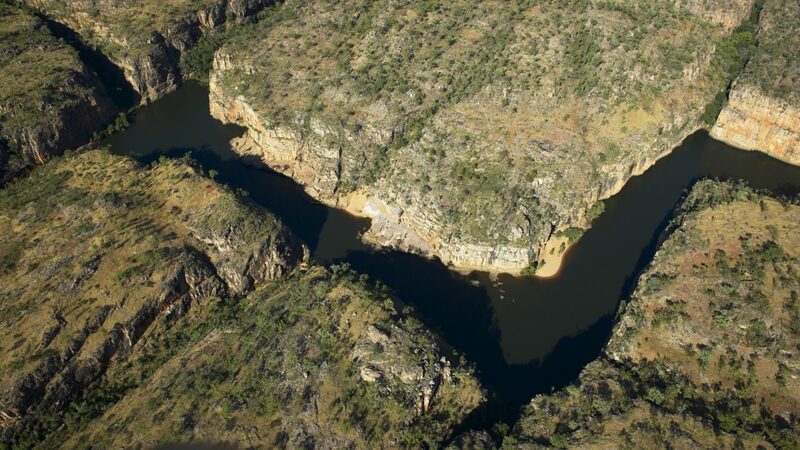 They all show you a different perspective of this network of gorges carved into the earth’s surface. 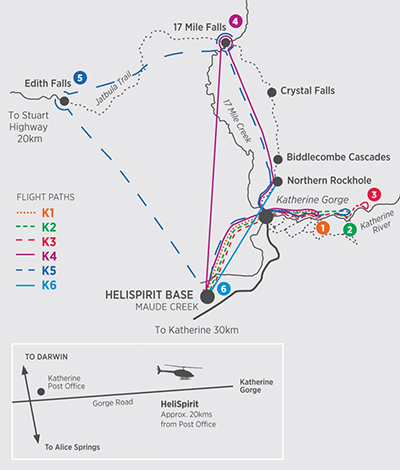 The longer flights show off Arnhem Land and the Jatbula Trail as well as 17 Mile Falls and 17 Mile Creek. 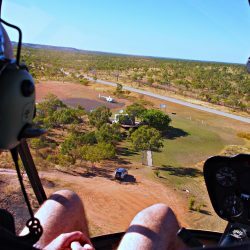 Please note that there is a maximum body weight of 136kg per seat on the Robinson R44 helicopter. 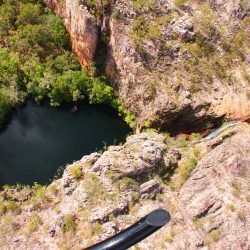 Fly to Northern Rockhole and the mouth of Katherine Gorge to experience the thrill of a helicopter flight. 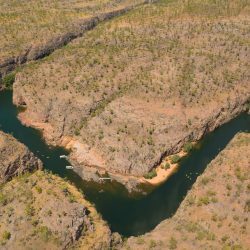 Discover Nitmiluk from an eagles view flying half way along the 12km stretch of canyons of Katherine Gorge. 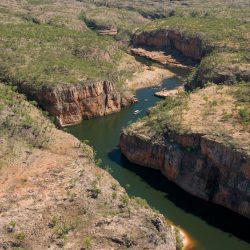 Marvel at 8 amazing gorges of Nitmiluk National Park. 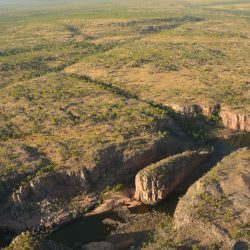 Fly over the sheer canyon walls of the escarpment area and enjoy panoramic views of the Top End’s unique wild scenery. 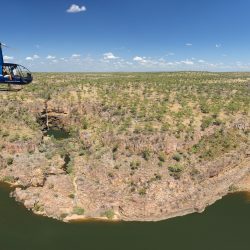 Enjoy the magnificence of all 13 gorges in Nitmiluk National Park and fly low over the Katherine River for a thrilling photo opportunity of the Arnhem Land escarpment and surrounding scenery. 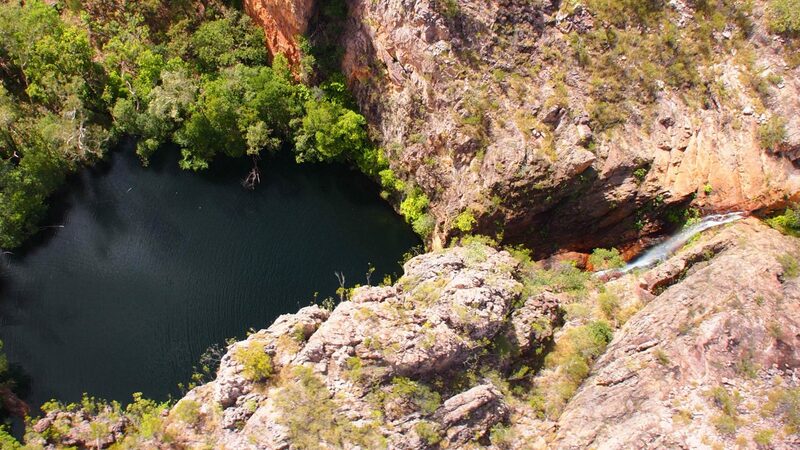 Soar over all 13 gorges of Nitmiluk with thrilling close up views of the Z shaped bends below. 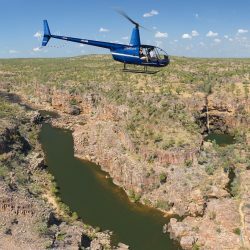 Fly further along the escarpment towards Arnhem Land. 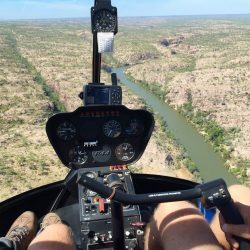 Enjoy inspiring views of Northern Rockhole, Biddlecombe Cascades, Crystal Falls and 17 mile falls, then fly along 17 mile creek spotting wildlife as we return to land. 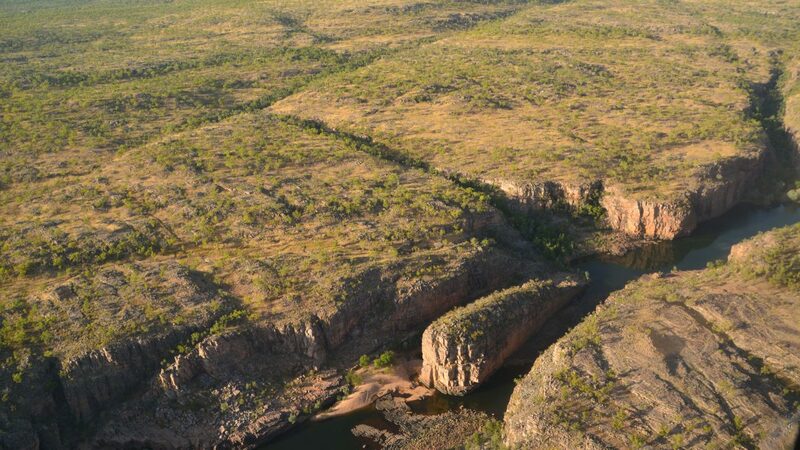 To experience the full diversity of Nitmiluk , choose this exciting scenic flight. 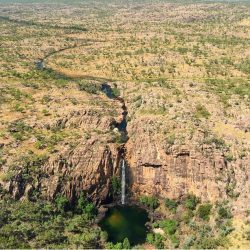 Discover spectacular waterfalls, including Edith Falls, Northern Rockhole and many others within 17 mile valley and enjoy thrilling comprehensive views of all of Katherine Gorge. All flights have full pilot commentary. 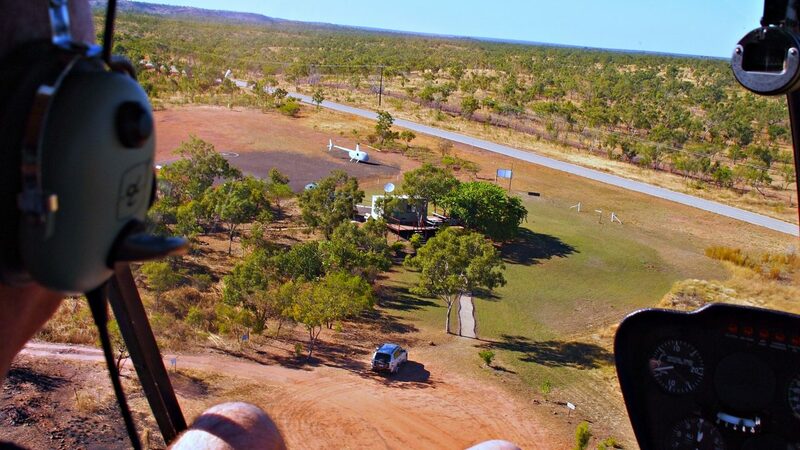 Book now on 1800 833 722 or contact us here. Please note: The waterfalls are seasonal. 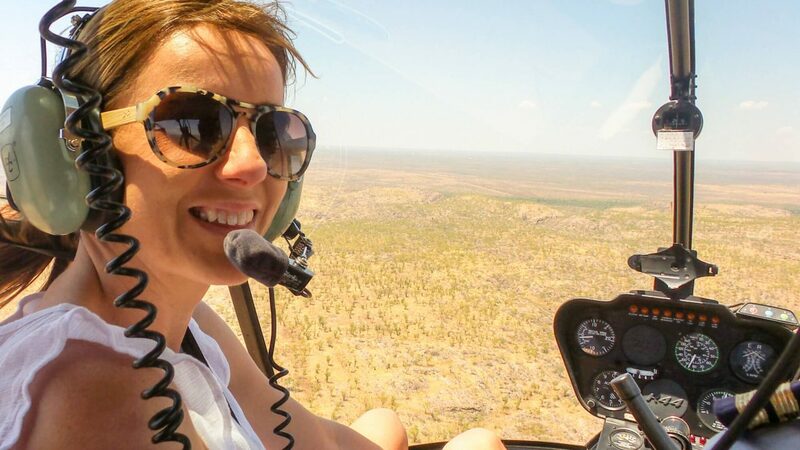 Steve's happy passenger, Lisa Messenger. 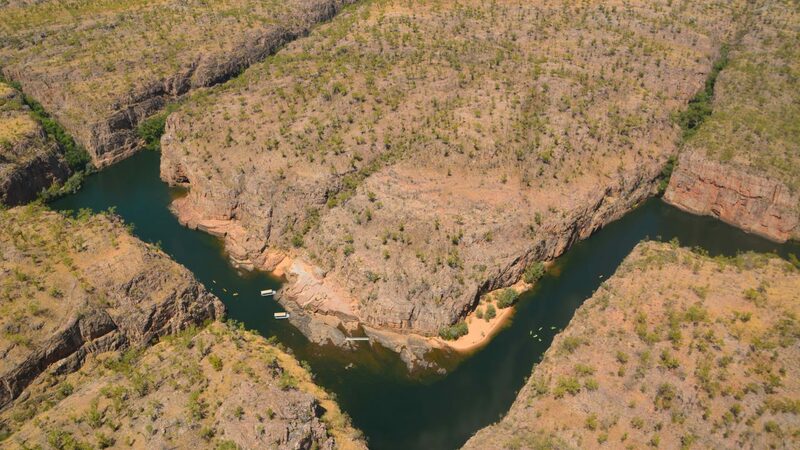 Over Katherine Gorge.